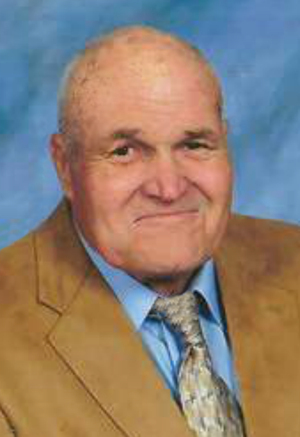 Obituary – Stephens, William Mayhew « Perry High School Alumni Association, Inc.
William M. Stephens, 86, passed away on Saturday, March 4, 2017 in Perry, Oklahoma. Public Visitation will be held on Tuesday, March 7, 2017 from 9:00 a.m. to 8:00 p.m. with the family greeting friends from 6-8 at Palmer Marler Funeral Home, Perry. Funeral service will beat 10:00 a.m. on Wednesday, March 8, 2017 at the First Christian Church in Perry. Interment will follow at Grace Hill Cemetery. Funeral arrangements have been entrusted to Palmer Marler Funeral Home. 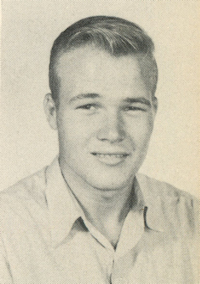 Bill was born on December 16, 1930 to Loyd Earl and Mable Ruth (Swisher) Stephens, southeast of Perry, Oklahoma just across the road from the place he and his wife, Charlotte (Chiles), lived. He grew up in Perry and attended Barrett Rural School and graduated from Perry High School. In his youth he was involved in FFA, Perry wrestling. In high school Bill worked for Nick Wetzel Nursery. Bill was a member of the 179th Infantry 45th Division and served in Korea in 1952 and 1953. Bills faith was strong; he was a member of the First Christian Church serving as an elder as well as Chairman of the board and was on several other various committees. After serving in Korea he worked for Bonray Oil, Frailey Construction, Ditch Witch, and Rupp Drilling Co. He loved his carpentry work and as a farmer he loved animals from his cats and dogs to the cattle and pigs he raised. Bill was well loved by people he encountered from his childhood friends to the health care folks. Bill is preceded in death by his parents, Loyd and Mable Stephens, one sister Audrey Voss and one nephew Daryl Voss. Bill is survived by his wife Charlotte, three children with large blended families, Mike and his wife Paula, Nancy and her husband John, and Randy and his wife Joyce, one brother Gary Stephens and several nieces and nephews. Memorial contributions may be made to the Oklahoma Medical Research Foundation or the First Christian Church C/O Palmer Marler Funeral Home, 203 E. Fir, Perry, Oklahoma 73077, or to a charity of your choice.